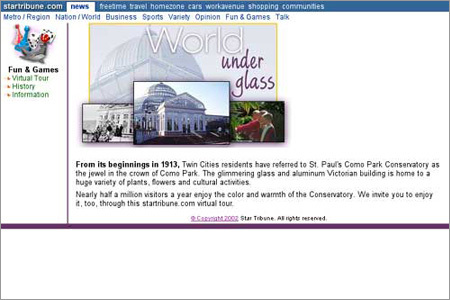 A virtual tour of the Como Conservatory. This was a redesign of existing site. The old site, besides being difficult to navigate, was outdated and needed a fresh look.